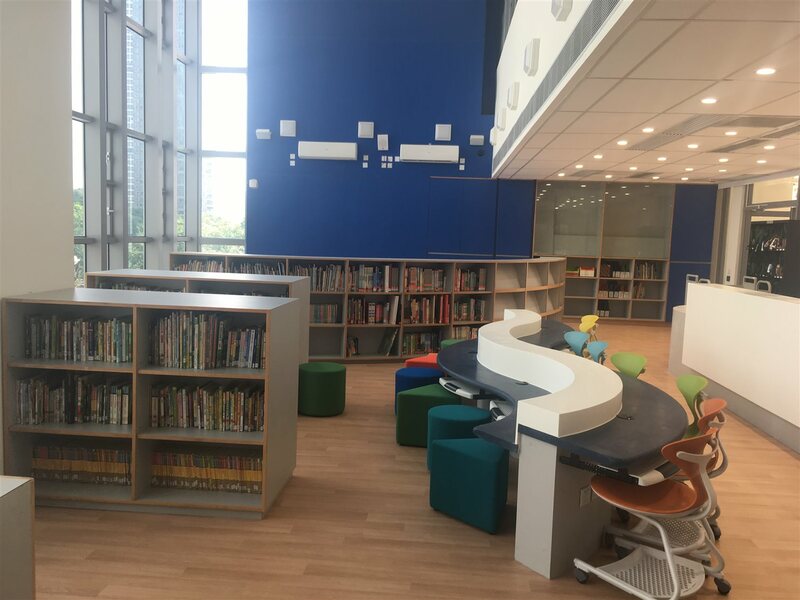 Having built and commenced its operation in September, 2017, our open-plan Library is located on the ground floor. 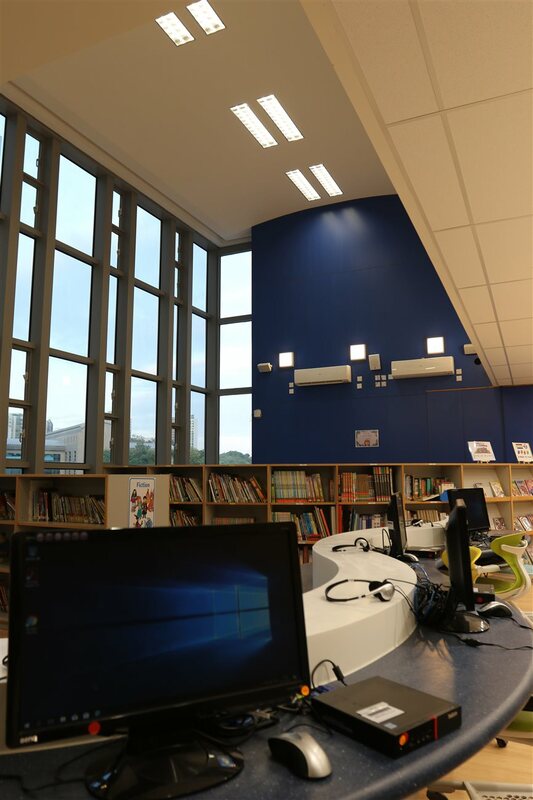 The surrounding curtain wall and high ceiling admits sunlight and air flow to the library, allowing readers to read in natural light. 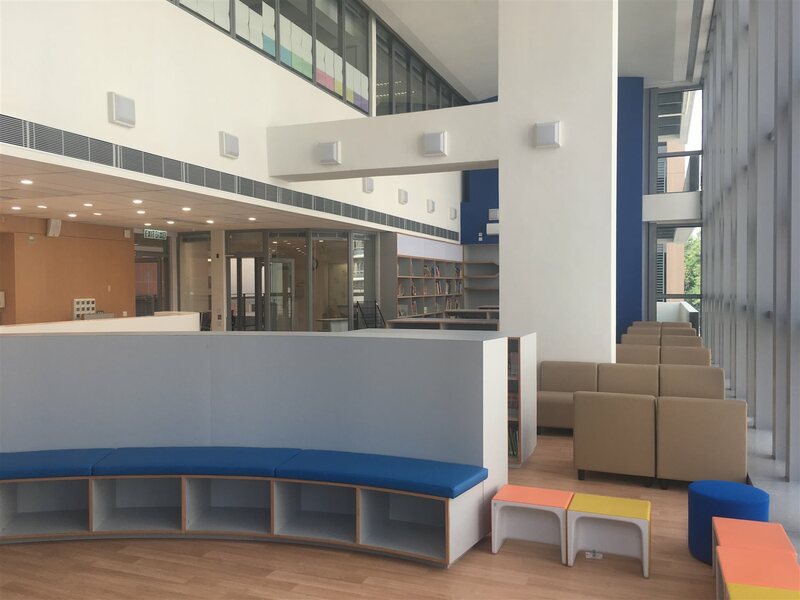 The spacious library with a huge stock of books, provides a quiet and comfortable environment where students can enjoy reading. 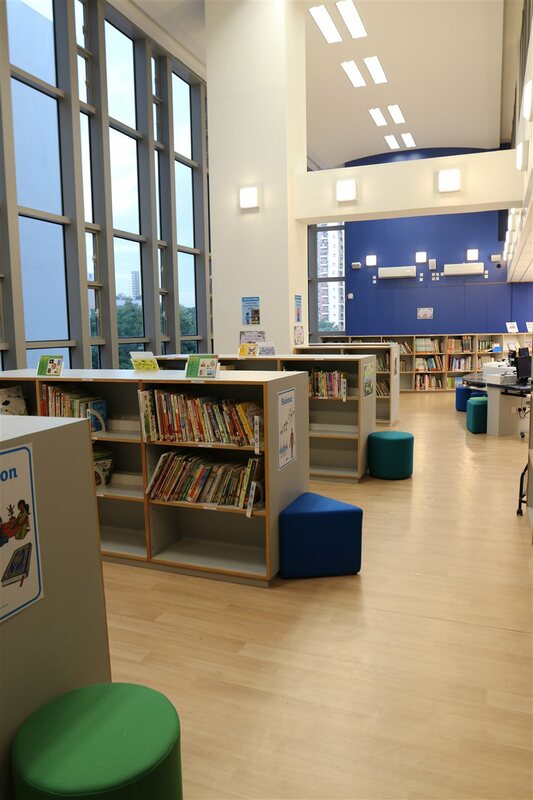 There are also computers for students to access the Internet and search for books in the online catalogue. 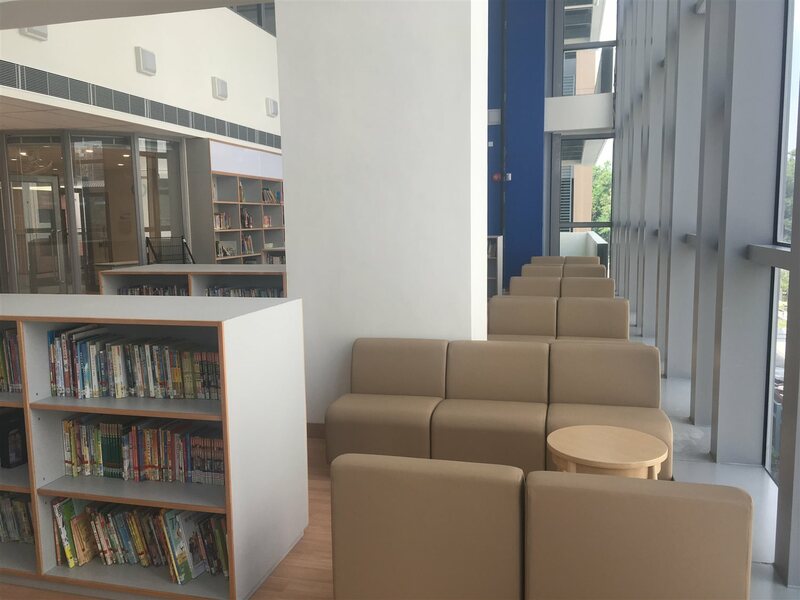 Also, a Book Bag Library is installed in the library which helps our parents to read aloud with their children.